There has always been this common thought that if you have to work harder for something or you have to wait for it, the reward will be all the greater in your mind. Now for the most part. that is absolutely true. The anticipation of some sort of reward 1 is a massive trigger for dopamine and can make the reward all the more… well, rewarding – which we like! However, not everyone is able to wait for a reward. There was a fantastic experiment in the 70s now referred to as the Marshmallow Test 2. The set up was that children were sat in a room and a marshmallow was placed on the table in front of them. They were given an offer. Eat this one marshmallow now OR wait until I come back and you can have two marshmallows. It is worth watching the videos if you need a smile! The really interesting part of this was what happened to the children over the years, you see they followed their progress for 40 years! What they found was that the children who could wait for the second marshmallow, who could delay the gratification, were more successful in just about every way over the years 3! Their mindset allowed them to take short term pain for long term gain. Another interesting study that is very relevant here was done around 2012 and it looked at how experience, or as they called it “environmental reliability 4“, affected the marshmallow test. The set up was similar, but before the test began the children were split into two different groups. They were both offered certain things, like extra crayons for colouring in pictures. The difference was, one group got given the things they were promised, the other was not. When they then ran the marshmallow test on these groups, the group that had been getting things they were promised showed a much great ability to delay gratification and wait for the second marshmallow. Their expectations and trust were such that they felt confident that the researcher would return. The other group had no reason to trust the researcher, so ate the marshmallow straight away! They proved that delayed gratification was a cognitive process. We assess based on experience whether it is worth waiting or not. 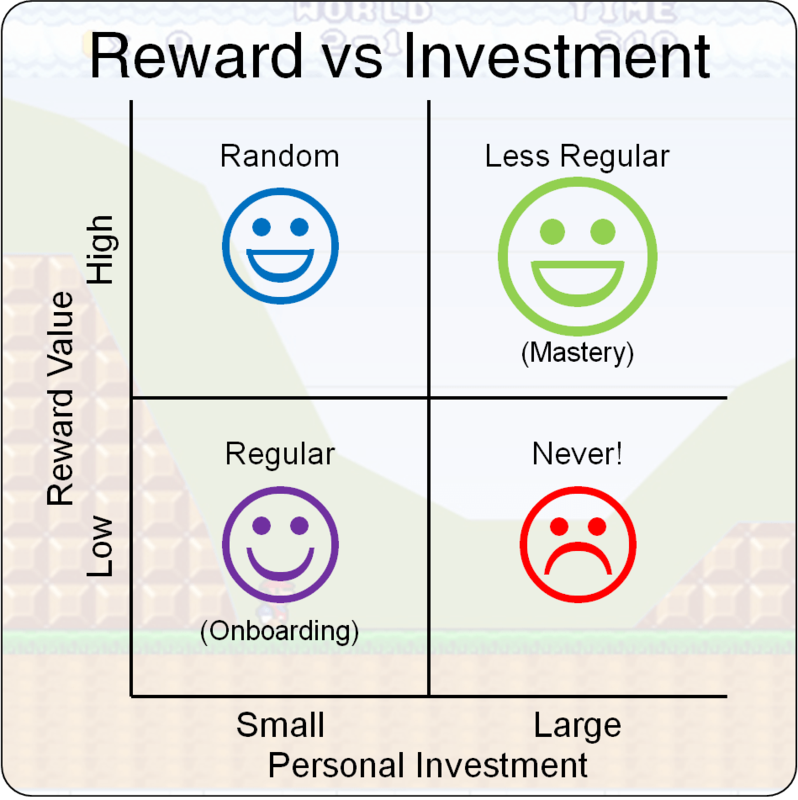 There are a few big takeaways from this that we can apply to gamification. People will wait for rewards if they feel they are worth it. People will wait for rewards if they trust that it will come. Anticipation can lead to greater gratification from a reward. But, we need to be able to apply this in a reliable way. The diagram below gives a quick outline of how you can be done. If you make someone wait for a reward, make sure it is worth them having. That does not mean the reward has to be larger, rather the value they place on the reward is larger. Take a relationship. Relationships take work, they take time. When you first meet someone it is rare that you are suddenly best friends. But take the time and work at it and the friendship can become incredibly rewarding. Goals that are in the distance can be hard to focus on. I wrote a while ago about something called Construal Level Theory. The basic idea is that events that are about to happen are perceived as concrete in out mind. It is easy to visualise them and work on them. Distant events are perceived as abstract, they are much harder for use to give urgency or importance to because they feel less real. Think about exams. Two months before an exam, revision seems less urgent – the exam is an abstract concept to us – it is not here so is not quite real. As we get closer to the exam, revision may start to get more important. The day of the exam, it is very real and you start to wish you had been revising for two months after all! Along the way though we need signals that we are following the right path. Going back to the relationship, if we start to feel that the other person is not returning the friendship, that there are no signals that it is going well, we will begin to drift away and the friendship will fail. So, whilst waiting for the big prize, people need to have smaller ones to nudge them along. 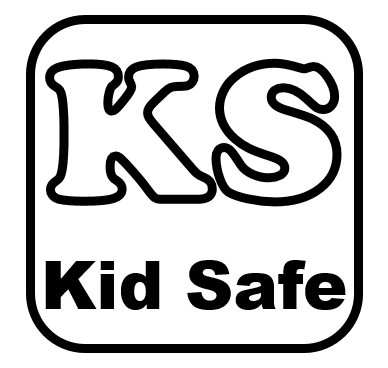 These will have less value to them but will help to keep them on the right path. In our gamified system, the small, regular nudges come in the form of things like points. They have less value to the user, but they show the user they have done something right. 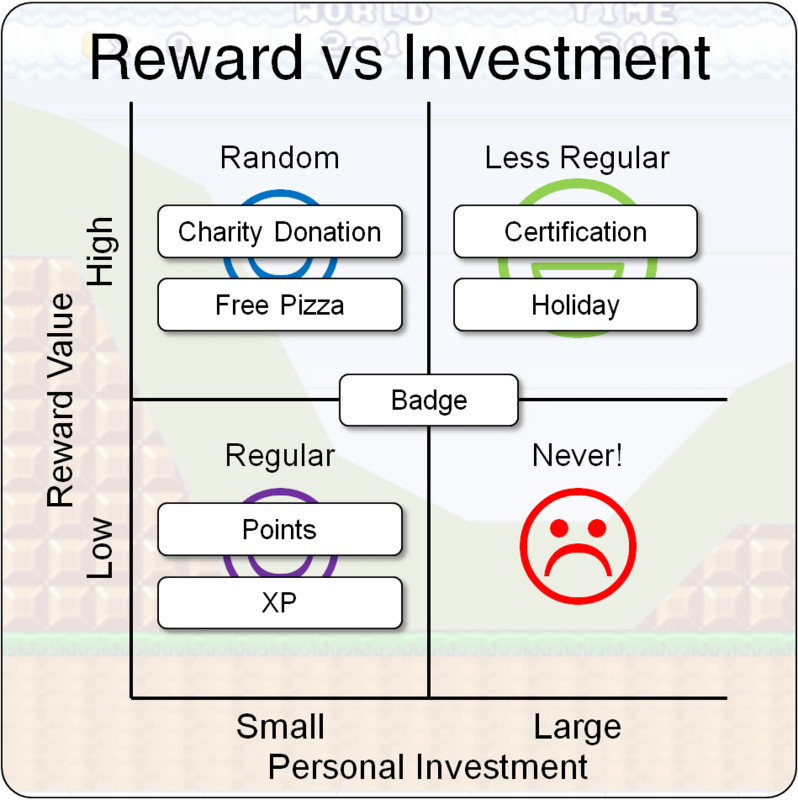 Slightly larger nudges would include more visible and potentially more valuable rewards (think badges that represent certain smaller achievements). These could me considered as short term goals (remember SMART?) Finally, after hard work and patience, the larger reward. These will be less common but should represent some real level of achievement or be attached to a larger value reward of some sort. Along the way, there is nothing wrong with randomly giving a larger reward that has not been “earned” as a way to just have the system say “Thanks for sticking with it”. These will give the user a nice sense of feeling they are valued. Avoid making people work hard and wait just to get a low-value reward. They will not appreciate this at all! It is very important to appreciate that the perceived value of things can reduce over time. What someone will work really hard to achieve initially, they may not be willing to work as hard for a second or a third time. They will expect the value of the final reward to be greater each time, especially if they are expected to work harder. 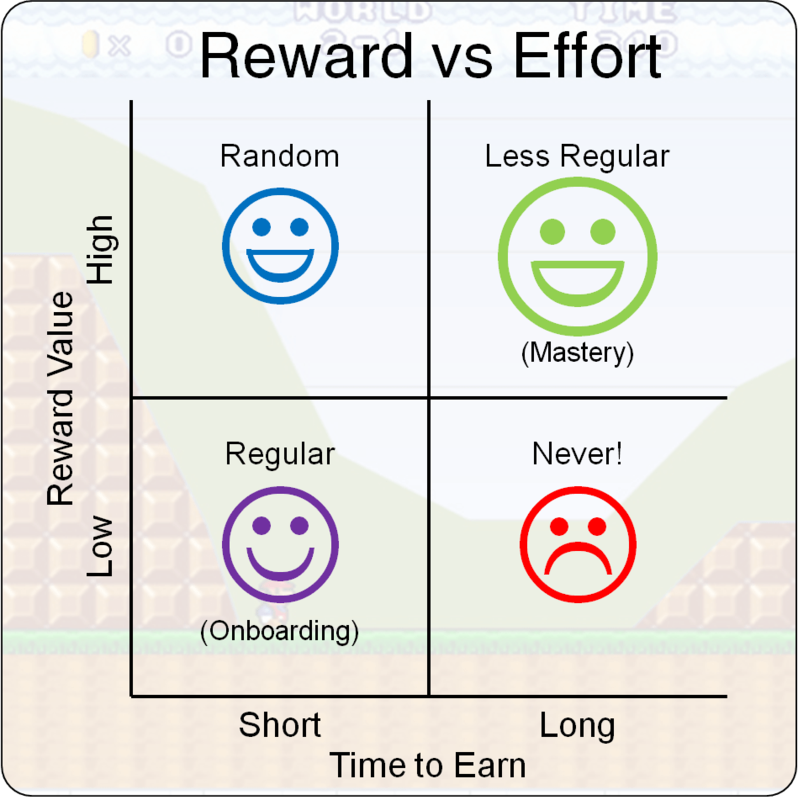 So when you think about your system, as the difficulty and skill requirements increase, so should the value of the long-term reward! We could consider Reward vs Investment. The investment could be time, effort, emotional etc. Instant wins are not always the most rewarding. Learn how to use delayed gratification to increase the value of rewards in your system. Big thanks to the Gamification Hub group on Facebook for the discussion around this. 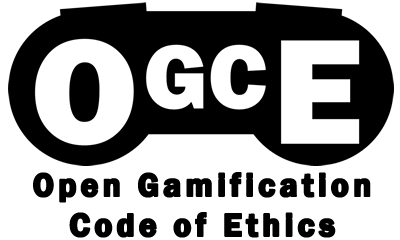 A must visit resource if you are interested in gamification! Kuszewski, Andrea. “The Science Of Pleasure: Part III.” Science 2.0. N.p., 26 Aug. 2010. Web. 06 Feb. 2015. <http://www.science20.com/rogue_neuron/science_pleasure_part_iii_neurological_orgasm>. “Stanford Marshmallow Experiment.” Wikipedia. Wikimedia Foundation, n.d. Web. 06 Feb. 2015. <http://en.wikipedia.org/wiki/Stanford_marshmallow_experiment>. Clear, James. “40 Years of Stanford Research Found That People With This One Quality Are More Likely to Succeed.” 40 Years of Stanford Research Found That People With This One Quality Are More Likely to Succeed. N.p., n.d. Web. 06 Feb. 2015. <http://jamesclear.com/delayed-gratification>. Kidda, Celeste, Holly Palmeria, and Richard Aslina. “Download PDFs.” Rational Snacking: Young Children’s Decision-making on the Marshmallow Task Is Moderated by Beliefs about Environmental Reliability. Cognition, Jan. 2013. Web. 06 Feb. 2015. <http://www.sciencedirect.com/science/article/pii/S0010027712001849>.